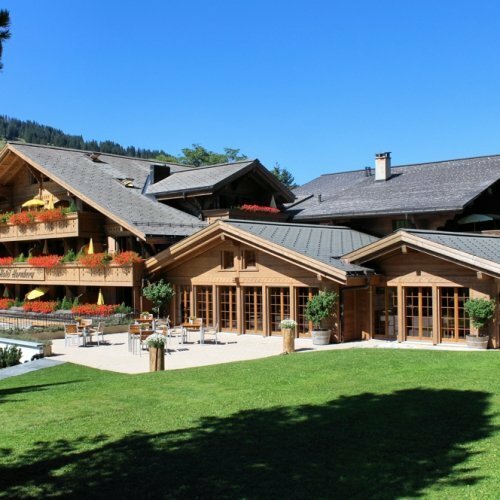 The Hotel is always an important criteria for a successful meeting... at the Hornberg you take advantage of individual advice and assistance, a personal atmosphere, a modern infrastructure and services of the very highest quality. 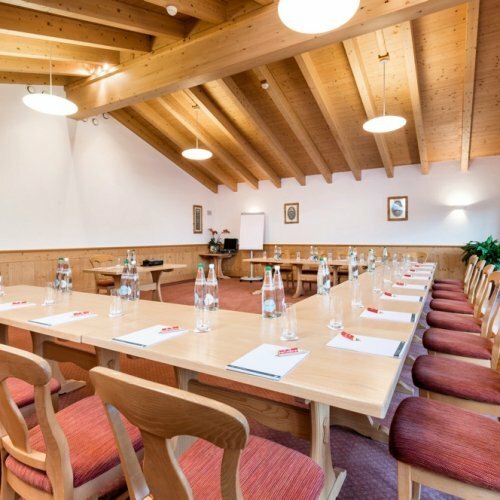 The Romantik Hotel Hornberg is a sure bet for successful meetings and conferences. 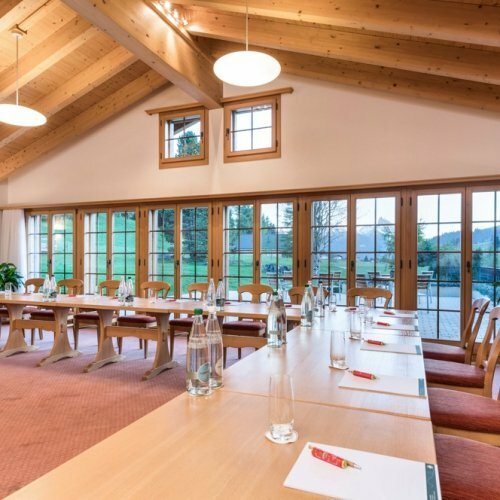 Two chalets specially built and designed for successful meetings were added in 2008. 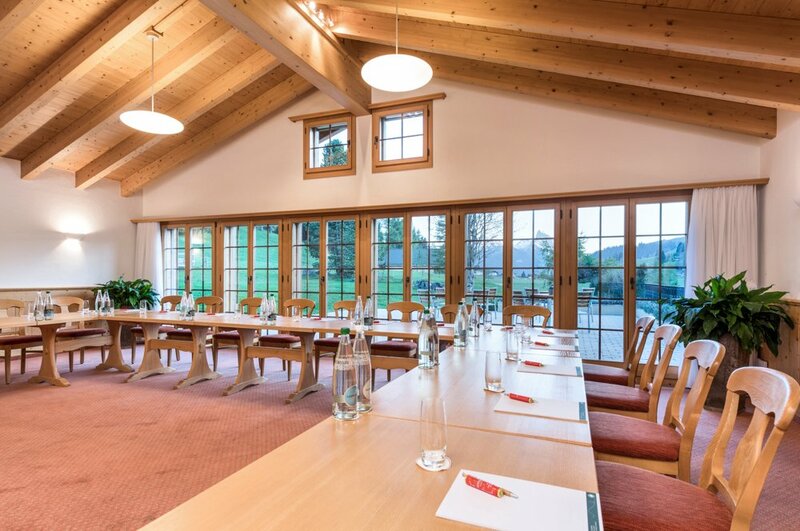 Not only are these tastefully designed, with lots of wood and sound proofed, they offer state-of-the-art audio and visual equipment and the greatest asset of all is the fact that you’re not stuck in the dungeon of the hotel but have access to fresh air, daylight and more. Fantastic views, the ideal venue for your event. There are several break-out rooms as well. All meetings and conferences will be arranged to meet highest expectations of hospitality, professionalism and service. Rüeblihorn, 74 m² suitable for up to 28 persons classroom style. Gummfluh, 35 m² suitable for up to 15 persons classroom style. Hornfluh, 28 m² suitable for up to 13 persons classroom style. It goes without say that we offer special menus as well as tailor-made menus that go with the needs of the participants at the conferences or meetings, generally a starter, main course and dessert, staying on the lighter side of the culinary exploration. After a long day’s meeting we offer a very special treat... dinner at the “Huettli” to catch up on traditional Gemuetlichkeit. It is just beyond the hotel terrace and when needed can be with an old oven fired with wood. Here is THE place to indulge in Raclette, Chinese- or cheese fondue, a fool-proof recipe to relax and conclude a hard day’s work. This dinner is part of your meeting/conference package. Thereafter there is nothing better than to tank-up or slow-down, whichever you need, with a steam bath and to while away at our wellness centre, in the different saunas and a Kneipp cure whilst gazing at the stars from the garden. 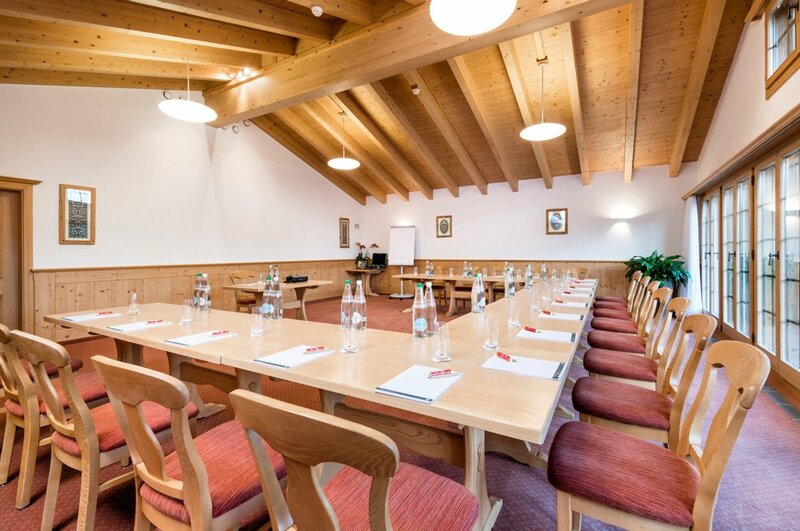 Meeting packages: Our daily rate for a meeting package is CHF 250 per person per day. Meeting room with modern infrastructure and AV equipment. Accommodation with our scrumptious breakfast buffet. 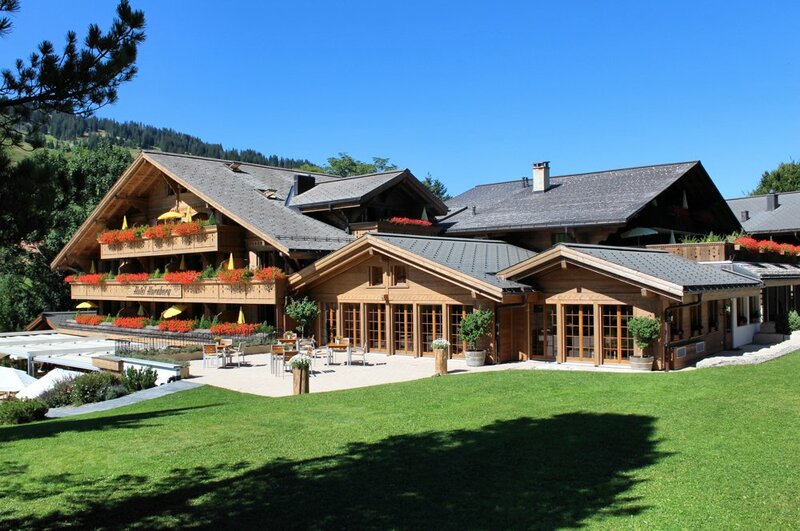 6 course dinner at the restaurant or at the Huettli for privacy (suitable for 16 pax max). Use of the wellness area and the pools. Coffeebreaks in the morning and afternoon. All taxes and service charge are included. Soft drinks during meals and meetings/conferences. Excursion and or Entertainment as per prior arrangement.